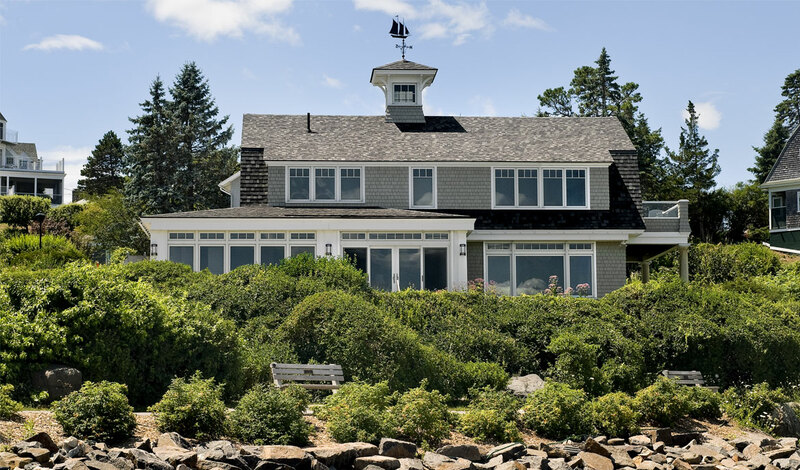 This quaint gambrel cottage, originally built in 1915, overlooking the ocean on the coast of southern Maine was the result of an extensive renovation and a client’s dream. 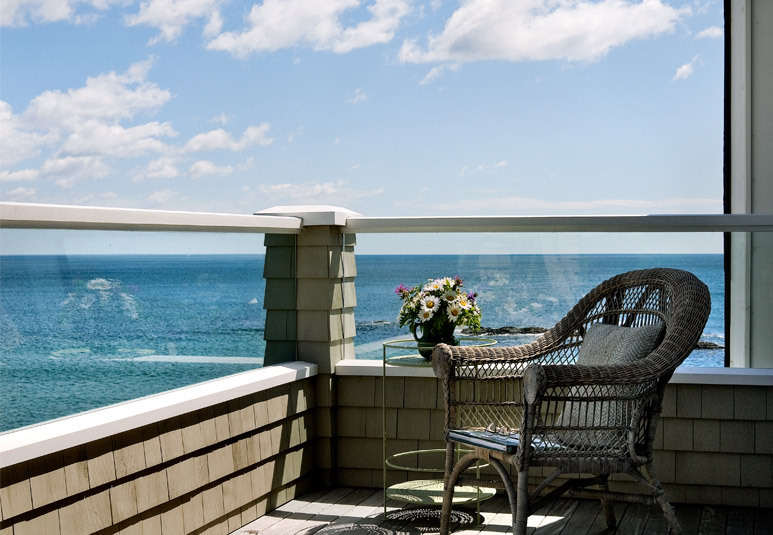 One of the homeowners had summered in this area since she was a little girl, traveling from Philadelphia with her family each summer to the coast of Maine. They would rent a suite of rooms in a hotel overlooking the ocean, in close proximity to this home. She loved this particular house and always hoped that sometime she would be able to purchase it. After her marriage, she and her husband bought a smaller home in the neighborhood but she never forgot the home at the end of the road. 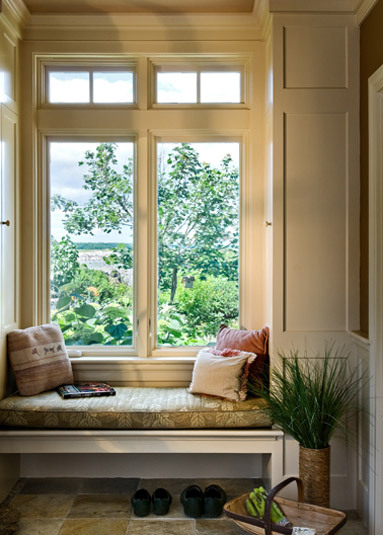 The homeowners traveled extensively, lived overseas for many years but returned to Maine as frequently as they could arrange. One day, they happened to notice that the”dream house” had come onto the market. It had been in the same family for decades and had not been updated or properly maintained. They courageously made an offer for the house and successfully embarked on a project that took a great deal of time, planning and vision. One of the homeowners is an artist, so the gardens were her special delight, as many of the flowers became “subjects” for her paintings. 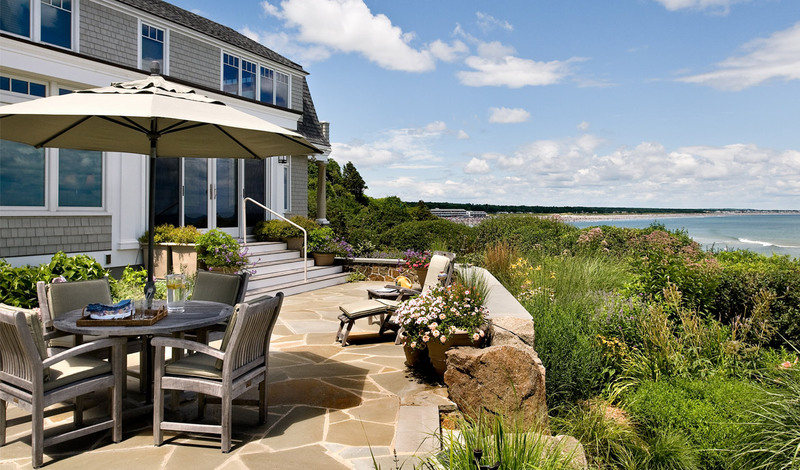 This cozy, seaside home was completely renovated inside and out. 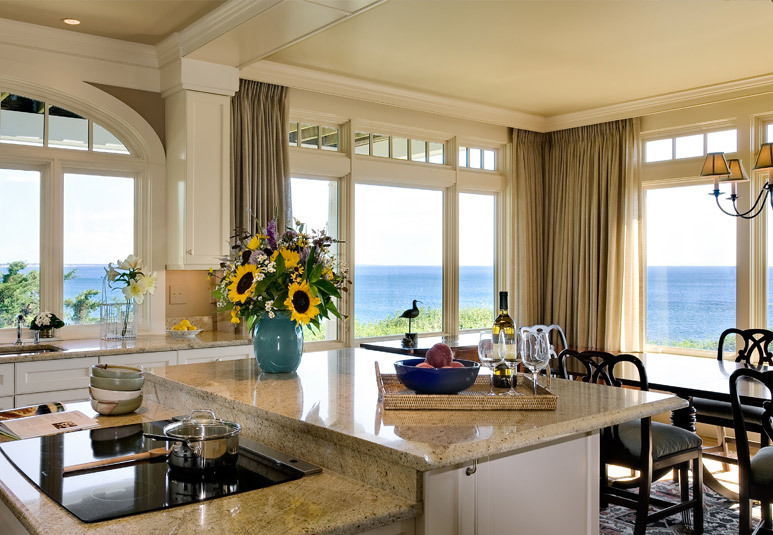 The beautiful ocean views were greatly enhanced by opening up spaces on the first floor and incorporating large sliding doors and windows with high transoms. The site posed an interesting challenge for the architect. 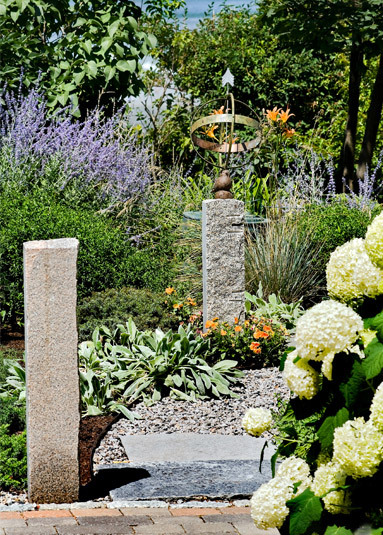 It was located adjacent to a public walkway yet it was necessary to create a feeling of privacy for the homeowners when they were outside on the patio or working in their gardens. This was solved by raising the house slightly and planting a dense layer of natural vegetation and building a stone terrace to act as buffers.